Feel Safe & Secure in Your Home or Business! SoundWorks & Security wants you to rest assured that when you go to sleep in your home, you can feel secure in knowing that you, your family and your home have an invisible protective barrier around you. Your business is just as important and SoundWorks & Security will protect it from fire, break-ins, water damage, and much more. 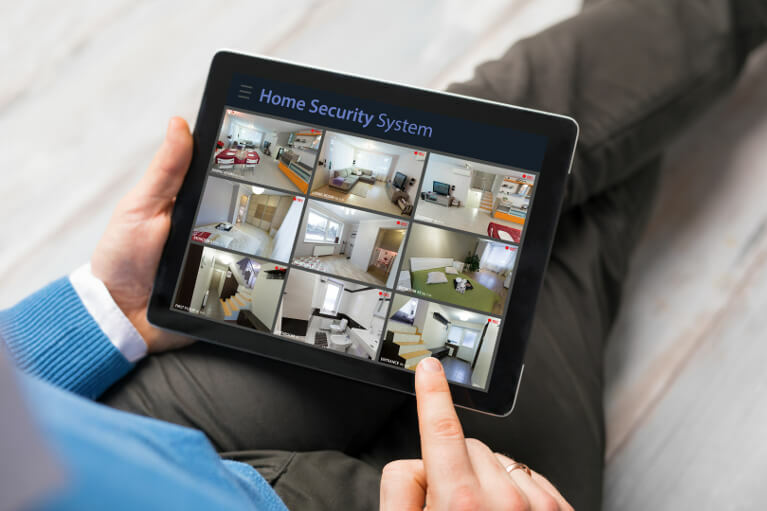 Our security systems help protect you from potential dangers. Whether you are at home, at your business or away, your property will be protected. The SoundWorks & Security system will monitor your home for temperature changes, high water levels, smoke, gas, fire, and intruders. We will custom design a system to meet your needs for your business, home, family, and lifestyle! Concerned about an intruder cutting your land-line or don't have a land-line? Let SoundWorks & Security install a Starlink/GSM unit for you. Starlink, a leading IT compliance and next-generation threat driven solutions provider, recognized as a "Trusted Security Advisor", a True Value Added Distributor, and a market leader by more than 500 customers to secure critical enterprise assets and safeguard access to sensitive data in the most demanding data center environments. Starlink has helped enterprise organizations in the Government, Banking, & Finance, Telco, Oil & Gas, Education and Healthcare sectors achieve and sustain compliance standards and optimally manage risk through full policy, procedure, and controls life-cycle management. Starlink, founded in 2005, in Dubai, allows your alarm to send a signal to the central station without having a phone line. Starlink offers full event reporting and uses GPRS data channel of GSM network for affordable, dependable, high-speed alarm communications supported by an extensive nationwide network. Starlink connects to and monitors phone line so when used as a backup alarm communicator SL-1FD-T only transmits alarm events wirelessly when the telco fails - saving money, reporting fees, eliminating duplicate reporting confusion, etc. but may also be used as a primary alarm communicator, always reporting wirelessly via GSM network. SoundWorks & Security has teamed up with USA Central Monitoring Company. USA Central Station Monitoring Company is a full-service monitoring company with over 30 years of experience. 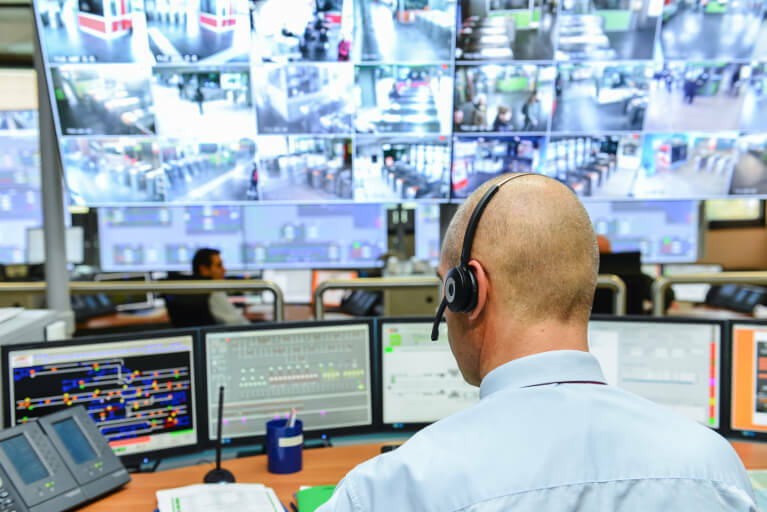 USA Central Station has made the investment in the latest technology to make sure that your customers are getting the best monitoring service possible. USA Central Station uses the stages SGS Platform because it offers the best systems available. The Stages SGS systems are secure and provide our Dealers with triple redundancy and a variety of automated services. Take your security to the next level with the newest technology available. 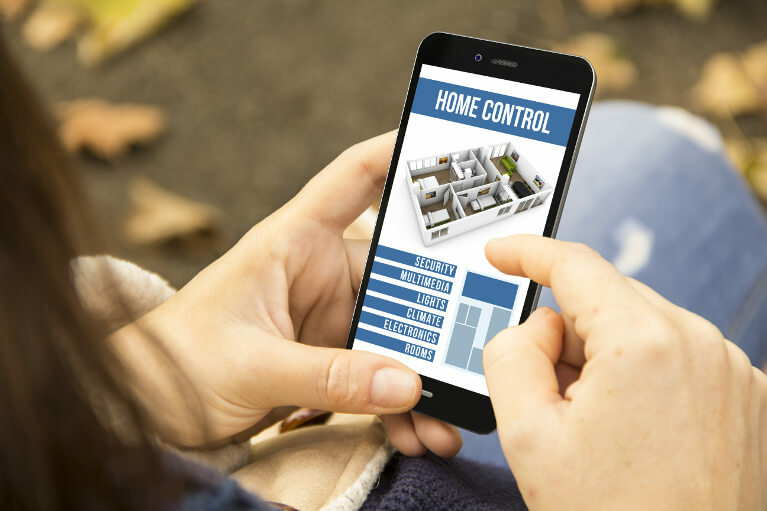 Control your alarm system, locks, thermostats and lighting on site from your home or business...or remotely through your smart phone or tablet when you are away!